Beginning in January, Black Diamond will release all-new tents and lineup updates for the first time in a decade. A two-person tent that takes up less pack space than a sleeping pad? Black Diamond takes a big swing at the ultralight and alpine camping markets in 2019. With offerings like its lightweight, pole-pitched hiking tent, the Utah-based adventure outfitter unveils its first truly new shelter designs in 10 years. We caught a preview of Black Diamond’s flagship 2019 tent, the Distance, in advance of this month’s Outdoor Retailer show. We pitched it, laid in it, and scoped out some novel features aimed at minimizing materials (read: weight, space) for lightweight pursuits. 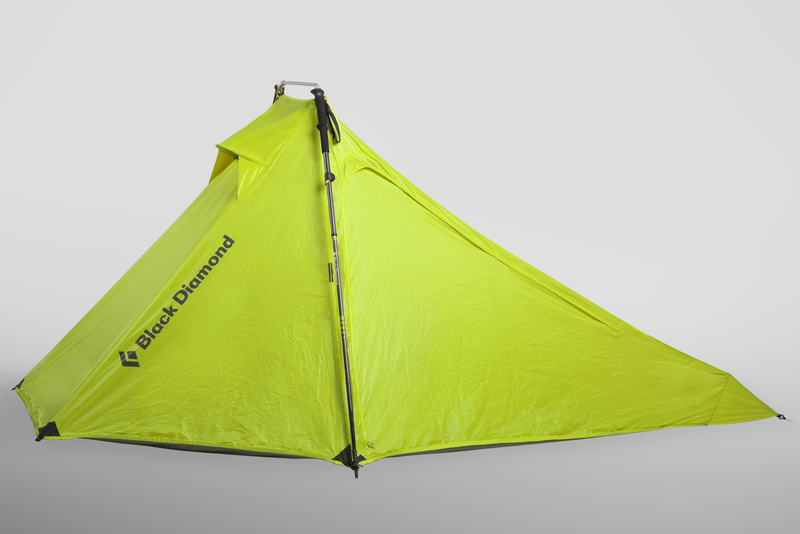 In short: The Distance tent proves Black Diamond put serious thought into its tent updates. A completely unique design for its camp line, the Distance achieves the sub-1.5-pound mark by utilizing trekking poles for its construction. Best of all, the tent pairs seamlessly with the brand’s Z-poles but also offers adapters for setup with any other poles. Black Diamond told us the Distance shelter itself — tent, stakes, body pole — weighs in at 1 pound 4 ounces. But you’ll need two trekking poles to set it up. A single-wall design, the Distance comes with one small pole that acts like a spread bar. The tent body uses 30-denier polyester and has one door. Four stakes guy out the tent floor, while two trekking poles provide the main tent structure. The attachment points for the trekking poles are the key spec here. The ends of the spreader pole plug snugly into holes in Black Diamond’s carbon Z-poles. And, conveniently, Black Diamond will sell the Distance complete with a pair of Z-poles as a purchase option. Of course, some people are perfectly happy with the poles they have. For them, Black Diamond offers the Distance with a pair of adapters that wrap around any tent poles’ handles via Velcro and fit the Distance spreader bar. Pitched, the Distance is long enough to fit individuals at least 6 feet 3 inches tall. The brand hasn’t released dimensions yet, but I laid in the tent without rubbing head or feet against the tent wall. The Distance also sports two vents, one at the roof near the head, and one near the ground at the foot. And inside is a single headlamp/phone/accessory pocket. The Distance will retail at $250 for the tent alone and $400 for the tent with two Black Diamond Z-poles. According to Black Diamond, the Distance will headline a slew of bivvy and tent updates coming next spring. In addition to the Distance, the brand also launches three-person models of its FirstLight and HiLight tents. 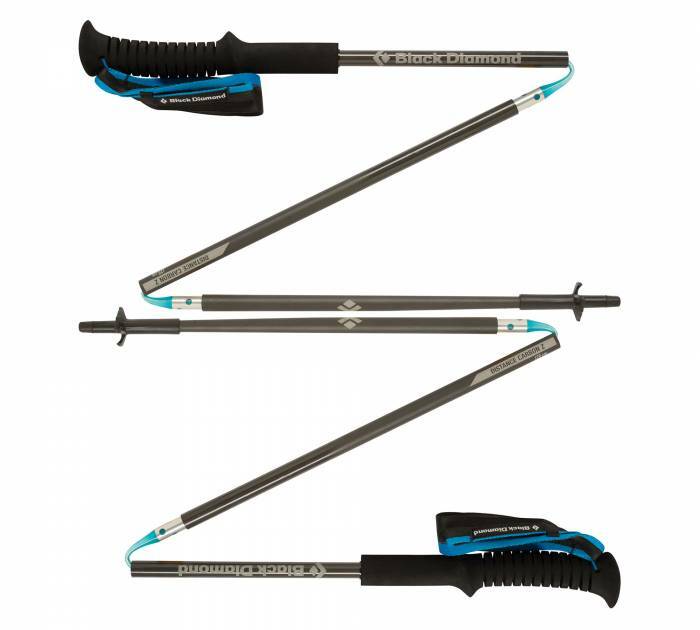 Black Diamond’s existing FirstLight and HiLight two-person models also receive upgrades. For both lines, the brand introduces a “Flow Manifold system”: essentially, dual vents along the tent canopies. According to Black Diamond, these vents pull vapor and “stale air” out of the tent, purportedly mitigating condensation and increasing breathability. The brand also claims the vents allow the tents to withstand winds in excess of 80 miles per hour. These are interesting claims, but we haven’t tested them yet. Look for a full review of the Distance following the Outdoor Retailer Summer Market trade show at the end of the month.